During the second half of the Jets’ win Thursday night against the Bills, the broadcast came back from a commercial with the Buffalo offense huddled up near its goal line. The Jets defense was waiting for the TV timeout to end, but wasn’t interested in huddling. The Jets just wanted to dance. Lil Uzi Vert’s “444+222” was playing at MetLife Stadium, and the Jets were feeling it. And one of the best memes of 2017 was born. The hashtag is #JetsDanceToAnything, and Twitter has been flooded with people setting their own soundtrack to the dance moves of the Jets defense. The Jets have definitely noticed. Jamal Adams is the star of the show, and wins our vote if this was an impromptu dance-off. 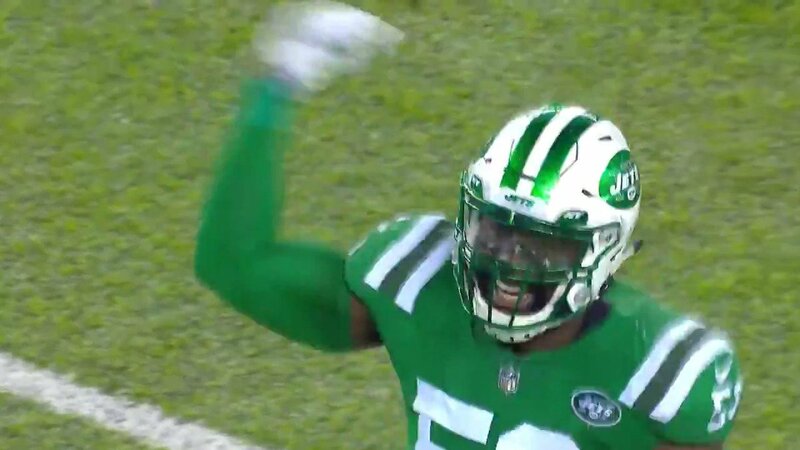 Darron Lee and Demario Davis are the best supporting actors. It’s going to be tough for anyone to beat “The Peanuts” theme.Cyndi Grecco’s “Making Our Dreams Come True” (the title song from “Laverne & Shirley”) was a strong choiceIs Barry White involved? Yep.Is it time for holiday music? If the Jets are dancing, it is.How about some bhangra? Kalind Patel (@NYCKP) has you covered.A remix of the Spongebob Squarepants theme? Why not?Smash Mouth covering The Monkees? Sure. The Jets did win the game, and in convincing fashion, to move to 4-5 and keep their place as one of the surprise teams in the NFL this season. The Bills were trying to move to 6-2 for the first time this century, but the Jets defense was fantastic. And it danced its way to Internet immortality. Previous article Has the internet been overtaken by the eldritch horror of Yog-Sothoth?